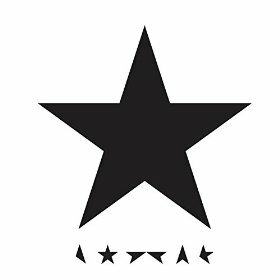 One From The Vaults - A Godawful Small Affair: Twenty-Six "Blackstar"
The following was originally published on 17 January 2016, a few days after the death of David Bowie. I am surprised by how much of the album review I stand by, but for context I have provided an additional sentence on my continued relationship with Bowie's music. Don't expect (little) wonders, darlings; turns out I'm still feeling the loss a little too hard to take this any further. ..And since then, he said, in a single piece of additional, original writing: listening to "Aladdin Sane" three times in a row with my new girlfriend due to drunkenness and distractions, giddy with the first flushes of a big, big love; re-listening to the Glastonbury 2000 set earlier this year and remembering how the between-song banter shaped the vocabularies of two of my most enduring friendships; and simply frugging out and cutting a fine rug at Mirror Moves' Battle of a Billion Bowies... His music is still dropping in now and then to define moments of my life and make new memories, which might be the best tribute I can possibly pay.